What’s causing your dog to do all that scratching, itching and excessive paw licking? Chances are the cause is allergies, but exactly to what? Is it to food, to grass, house dust mites…there literally are hundreds of allergens. Allergies show up in many ways, some pets can have runny eyes and sneezing, while others have serious recurring skin problems. My one dog Jessie has some type of allergy which causes him to constantly lick at his groin, especially at night; this can be very frustrating to your dog and you as his owner. I personally feel bad for my dog Jessie, but I’ll also get frustrated as I hear him non- stop licking. First realize that if you have an allergic dog, you’re likely going to be dealing with some type of allergy symptoms your whole life, but you can make a big difference as to the frequency of signs, and how serious it is. Here’s is what I suggest, and what has worked for my own dog. If you have an allergic dog, don’t despair, there are things that you can be doing to decreasing the itching, scratching, hair loss and constant licking. I encourage you to be systematic about this, going over my top 7 suggestions, and applying these to your dog. The allergies will not go away overnight, but you really will be able to dramatically improve the quality of your dog’s life. I too have had to deal with a dog with major allergies. I have now figured out that my dog is allergic to Beef, Lamb, Wheat and Potato’s. My dog comes to work with me so I have to be very careful that other people don’t share their lunches with him. I was feeding my dog dehydrated duck as a treat and so I discovered that a number of people at work went out and bought some for him. Next thing I knew, he was eating so much of this that he developed an allergy to duck as well. My question is, is it common for a dog to develop allergies to a food that he eats too much of? I feed my dog a kibble with wild salmon and oatmeal which he seems to do well on but am I risking him developing an allergy to this as well? I have discovered that when he starts scratching an area too much, I spray colloidal silver on the area and that seems to calm it down. 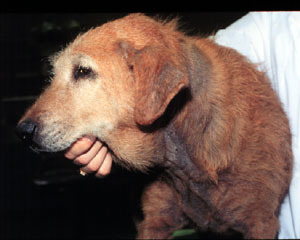 My dog was itching and scratching and I thought it was food allergies at first, but it turned out to be demodectic mange. Fortunately we managed to clear that up and she hasn’t itched since. I AM HERE A VETERINARIAN. I WAS TAUGHT THAT DOG SHOULD NOT BE BATH REGULARLY AND THEY SHOULD GET BATH UNLESS GREASINESS ON SKIN AND HAIR APPEAR AND SLIGHT ODOR COME FROM DOGS BODY BUT YOU HAVE MENTION THAT I HAVE PRACTICE OF BATHING DOGS TWICE A WEEK.DOES NOT BATHING REGULARLY AFFECT THE SKIN COAT AND HAIRS OF DOGS? My vets have always told me never to bathe my dog more than once a week since he has skin allergies. Not attacking you, Dr.Jones, just stating what I’ve been told by two different vets. It dries out his skin too much making the condition worse. He has a flea allergy. How convenient, huh? A dog allergic to fleas. Oh boy. It would be nice to know exactly how long it takes for a pet to react to an allergin, and if some other symtom to the reaction other than itching could help zero in on the cause. Afer 2.5 years my little morkie still itches. Some days are better than others. 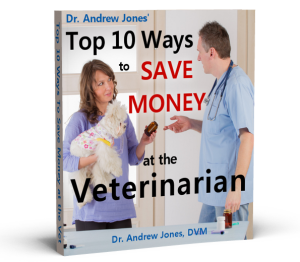 After thousands in vet bills I finally sought out a pet nutritionist who helped the most. First my dog would scratch non stop and constantly naw and lick her front paws till she had knots. Vet did an allergy test that said she was somewhat allergic to grass and corn pollen. My dog seldom goes out as shes potty trained so not much grass issues. Anyhow the nutritionist had me switch her to Orjen fish dog food and use an iodine based shampoo. Come to find out my little dog is allergic to grains. No oatmeal baths – grain based dog foods or treats – no more greenies (which are her favorite)etc. It has helped alot where no one else could figure it out. Hope this helps someone else. Cut out all grains for 2 months you will be surprised.